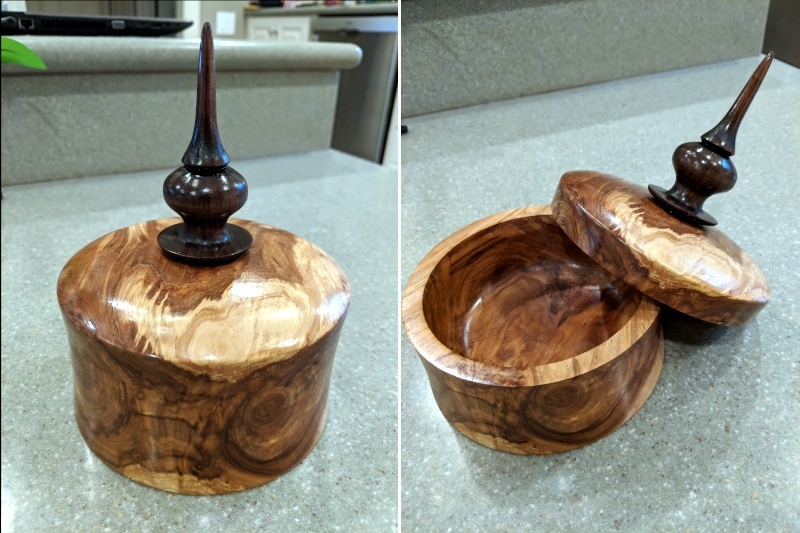 A few projects I've worked on recently. Items marked with a ★ are available. Mortar, pestle and rolling pin. 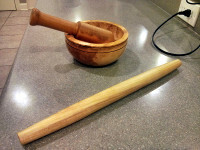 A mortar and pestle made from bradford pear wood and a French style rolling pin made of silver maple. 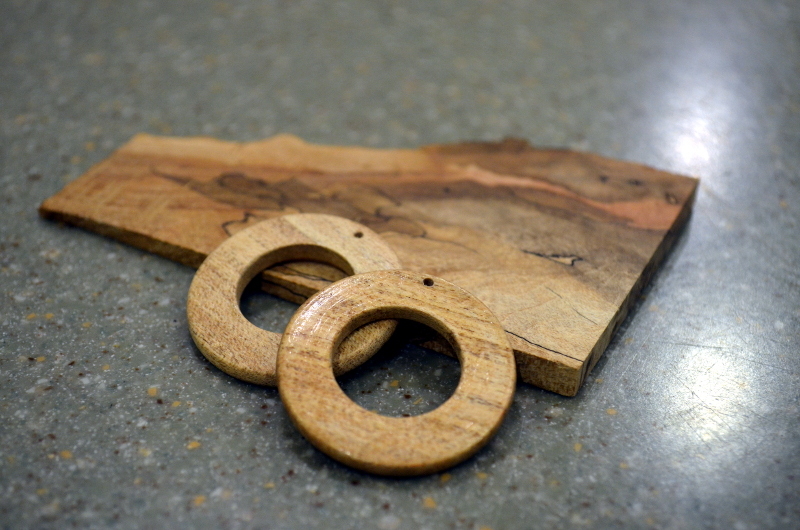 Earrings made from spalted hard maple. 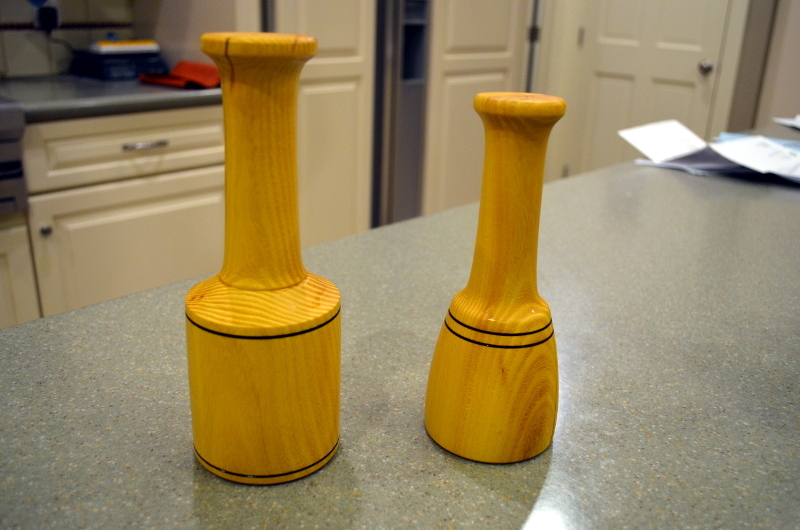 A set of carver's mallets made from osage orange. 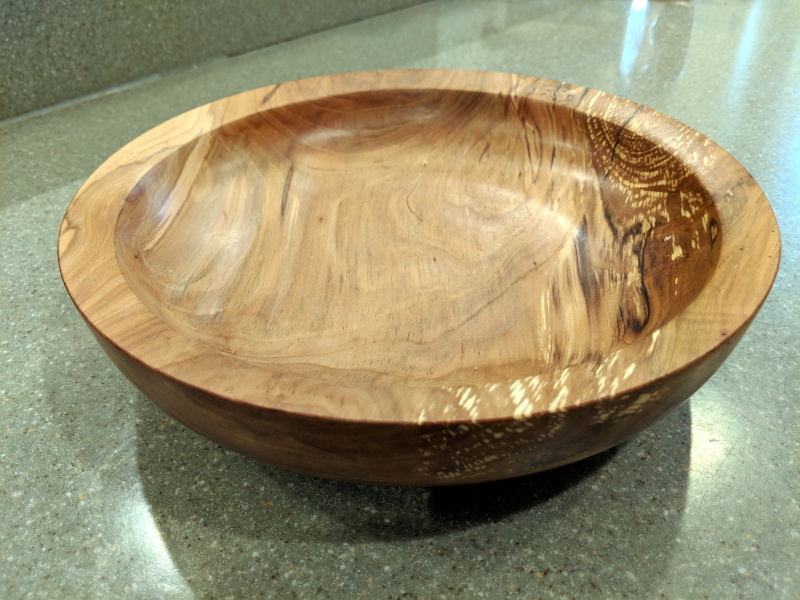 Small natural edge bowl made from bradford pear wood. 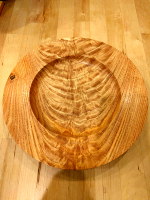 A decorative bowl made of spalted pin oak wood. 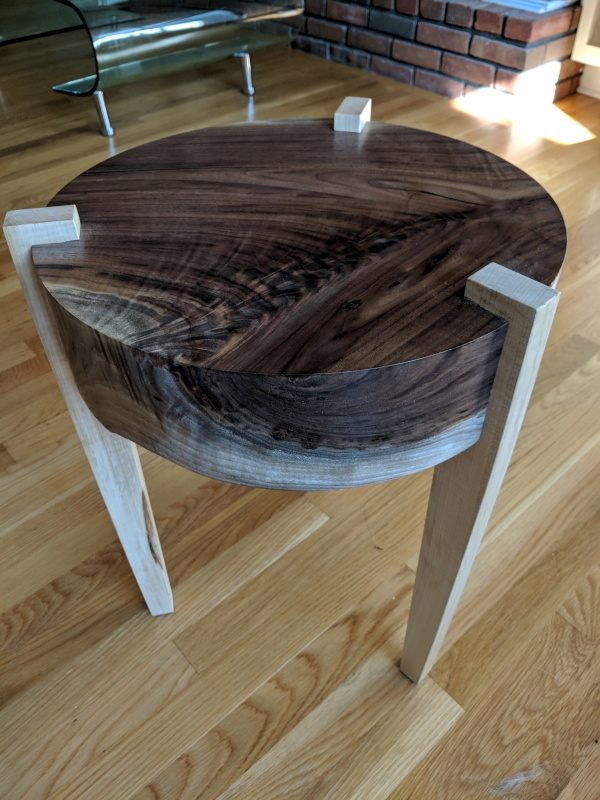 This foot stool was built as an experiment to practice glue-less joinery. 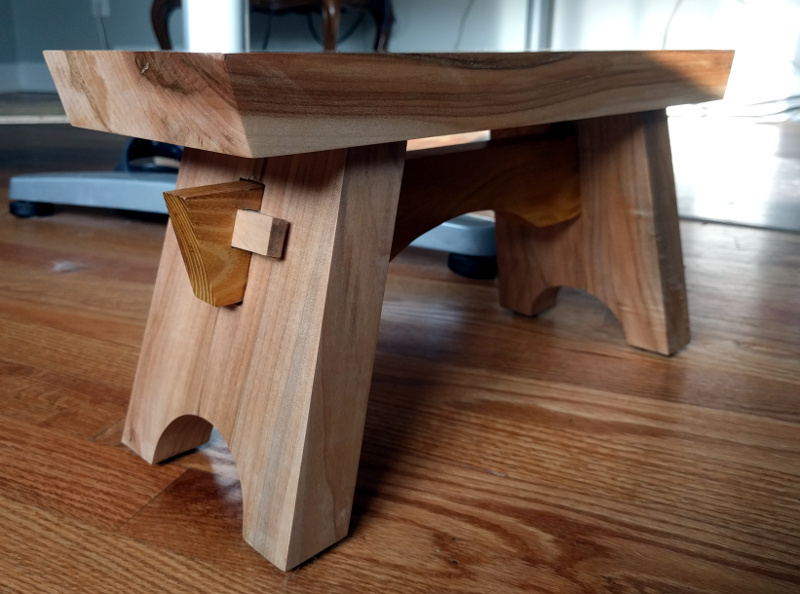 The legs are held on by angled stub tenons and the stringer uses wedged tenons to hold everything snug. 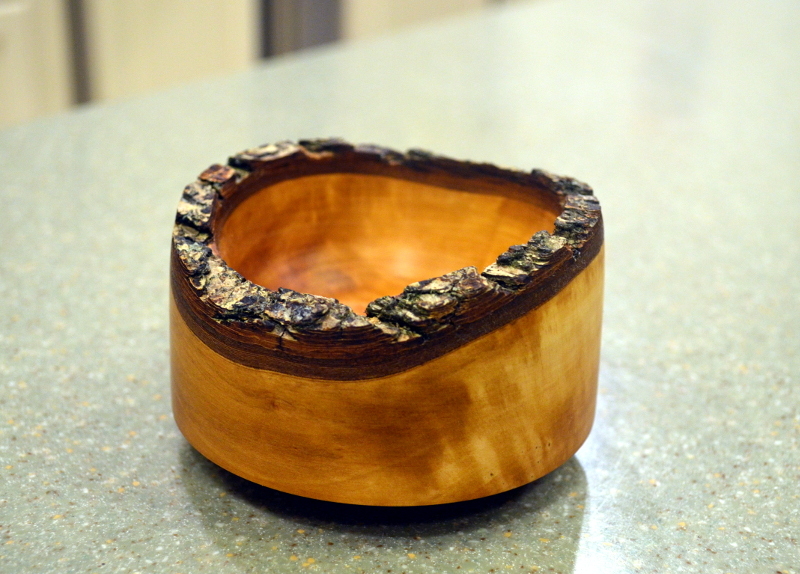 The wood is a combination of locally harvested spalted hard maple and osage orange. 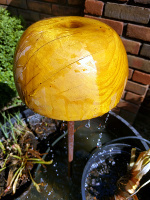 Turned from a large piece of osage orange, mounted on a copper pipe and set in a concrete base with a pump for our pond. Bonus slow motion video of the fountain in operation. 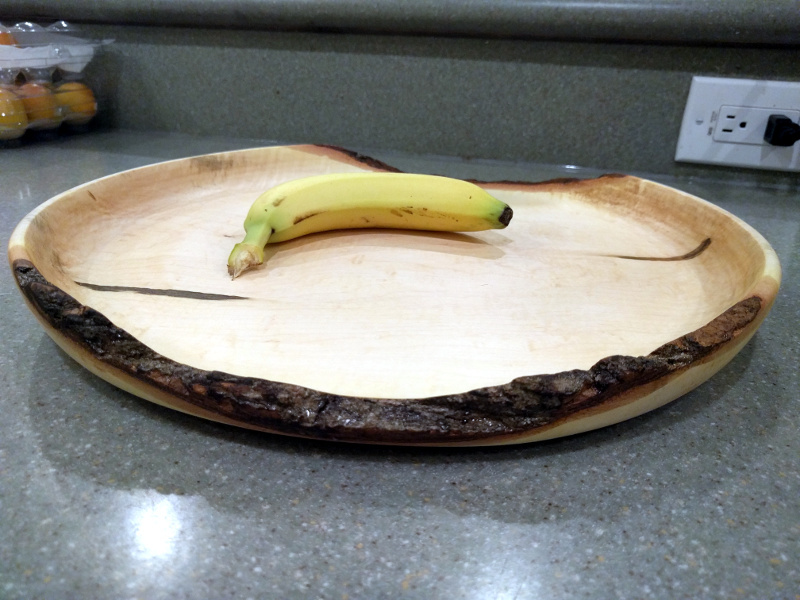 Silver maple platter with partial live edge, finished in walnut oil and beeswax. 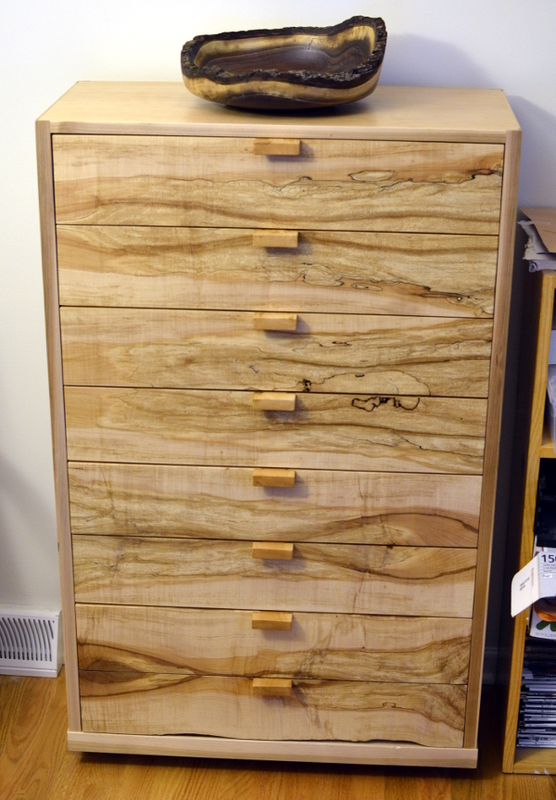 A drawer unit for my office that uses bookmatched slabs from a spalted silver maple for the drawer faces. 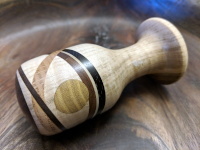 The hand carved handles are made of flame figured pear and the carcasse is maple faced plywood. 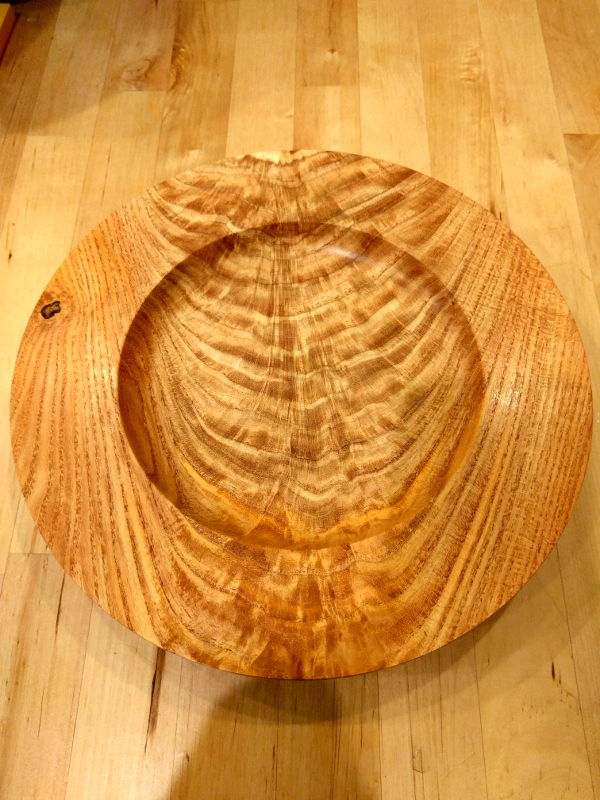 This bowl is about 16" in diameter and made of a single piece of lightly figured box elder. 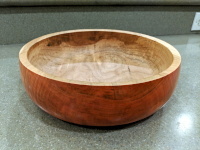 The exterior is dyed fire engine red and finished in a high gloss tung oil. The interior is oil and beeswax buffed to a medium shine. Auctioned off in support of the Franklin County Board of Developmental Disabilities. 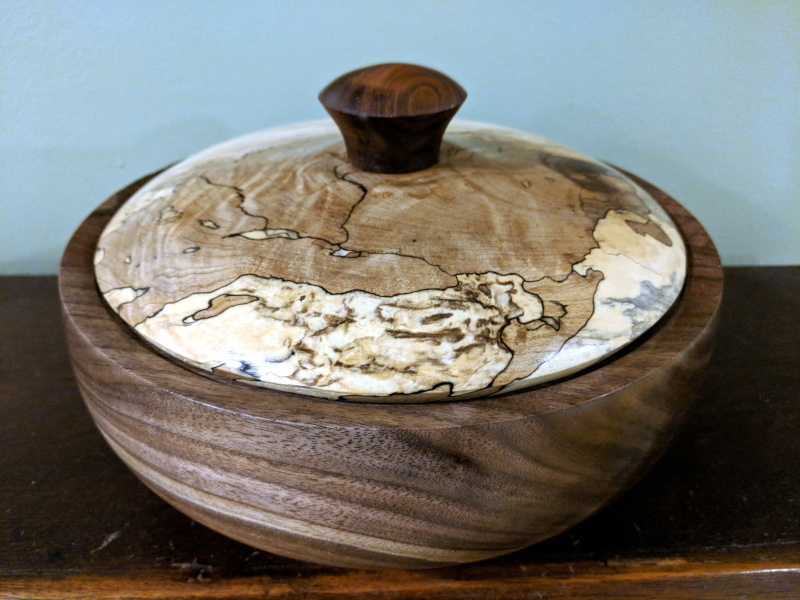 A bowl in walnut with a spalted silver maple lid. Mulberry, hard maple, walnut, wenge and pin oak. Finished with pure local beeswax. 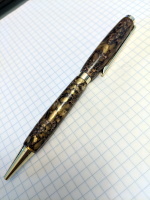 A pen made using sweetgum seed pods embedded within epoxy. 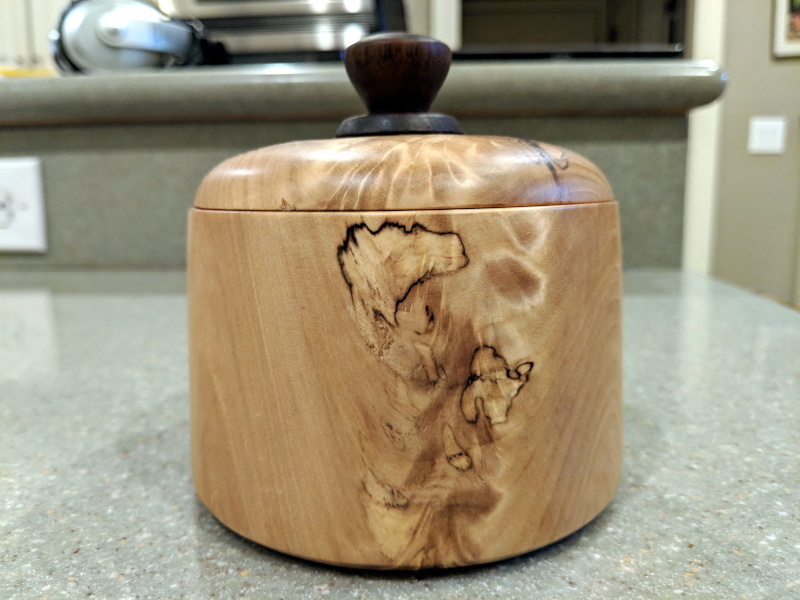 Made from curly maple. 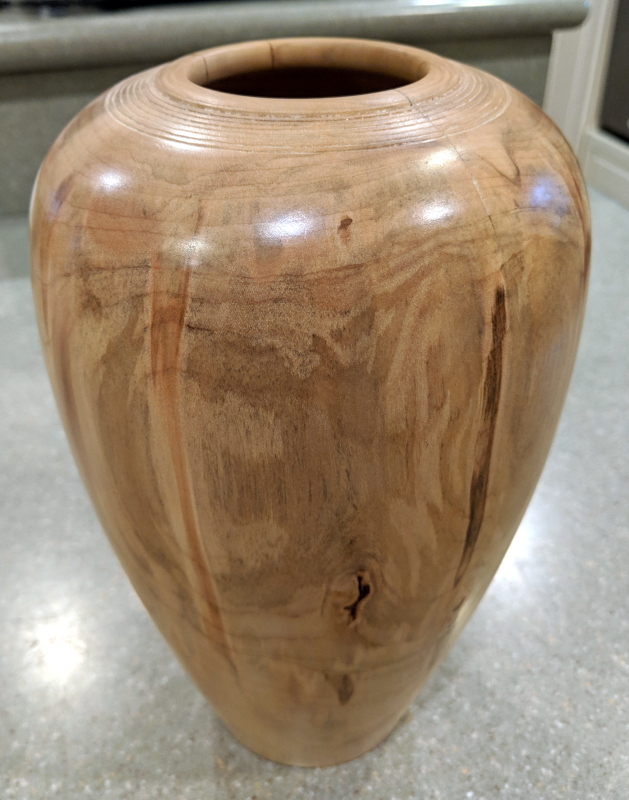 Outside is lightly dyed orange and finished in high gloss tung oil. 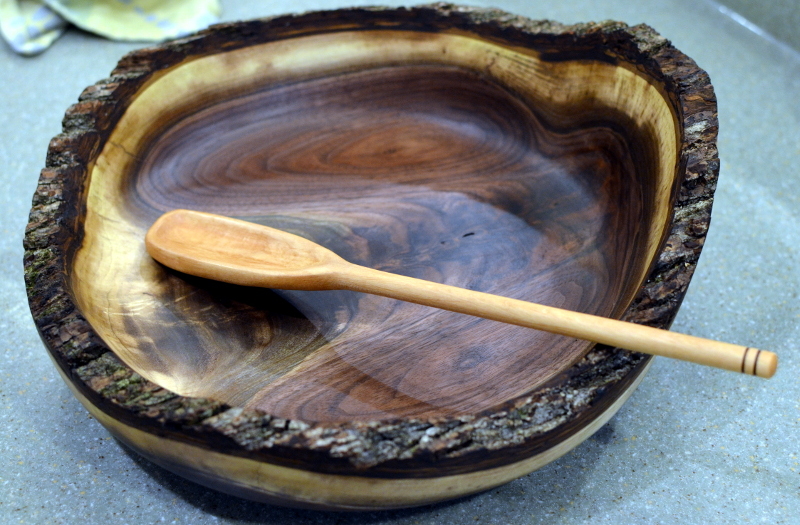 Inside is flat sheen walnut oil and beeswax. A mystery wood bowl, perhaps apple or some other fruit wood that is heavily spalted. 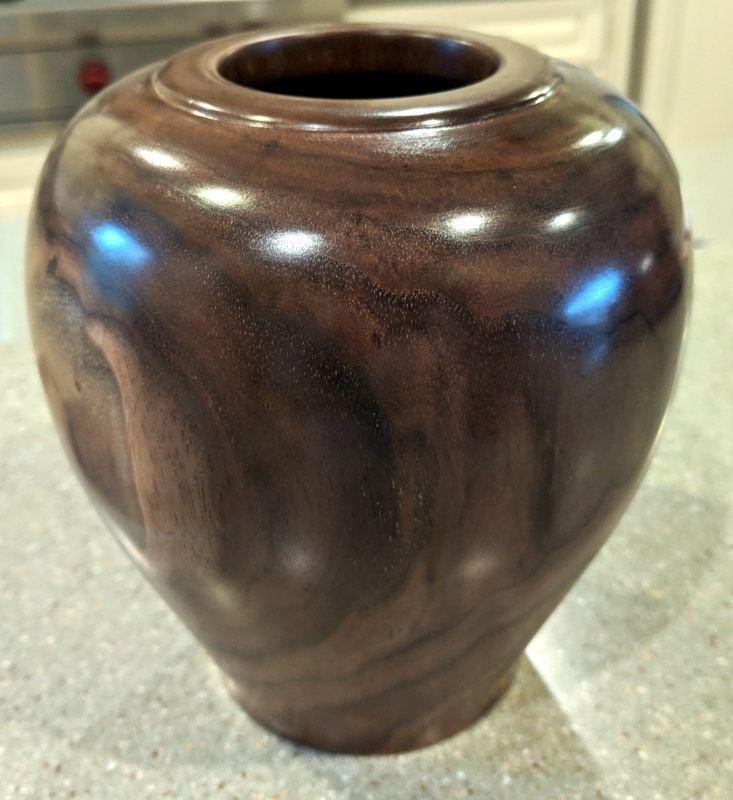 Finished in walnut oil and beeswax. 10" diameter. 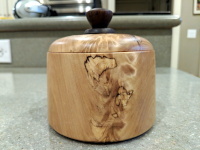 A lidded container made of spalted crabapple wood, with an ebony-stained walnut finial. 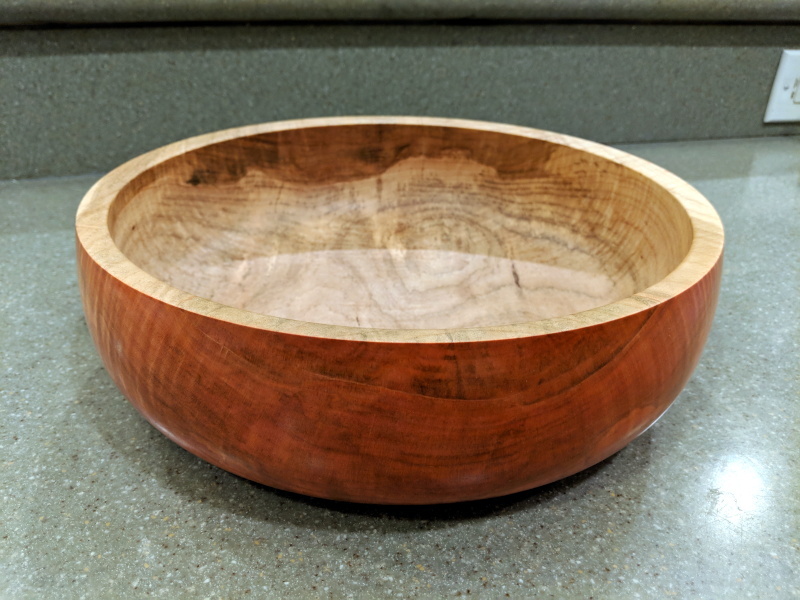 Finished in tung oil. 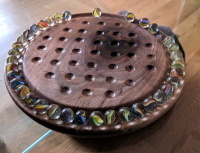 5" diameter, 7" high. A three legged occasional table with a solid top of heavily feathered walnut and ash legs. Finished with wipe on polyurethane. 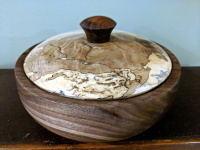 A sugar cellar made of spalted cottonwood and walnut, with a flax and beeswax finish. 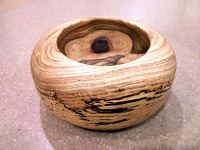 A salt cellar made of spalted hard maple with a walnut lid. 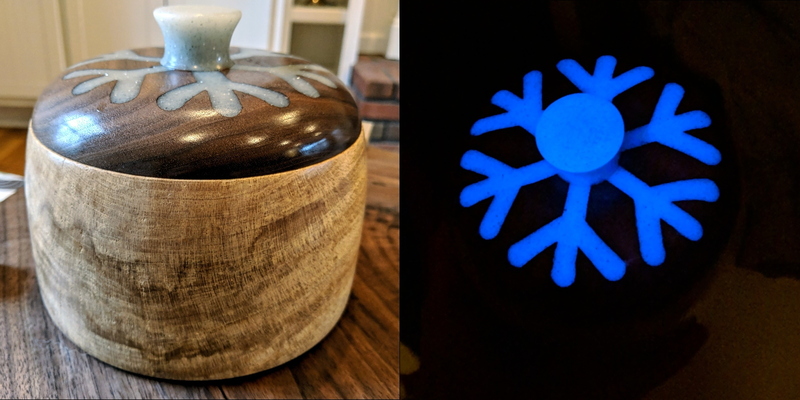 The snowflake inlay and knob are made of photoluminescent resin. A cherry bowl with a sculpted edge. 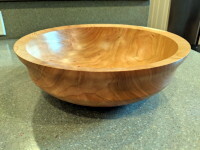 Finished in Osmo hard wax satin. Auctioned off in support of the Franklin County Board of Developmental Disabilities.